Travel in Motion GmbH – Creative. Efficient. Trustworthy. Your needs are our guidelines. Travel in Motion GmbH will find the ideal model to work with you and provide you the support you require. We focus on eCommerce, IATA NDC, distribution, revenue management, mobility and customer experience related travel topics. We can support you in creating business strategies, and translate those into business solutions. Travel in Motion will accompany you from ideation to strategy creation, from business process modeling to requirements definition and finally from solution definition to vendor selection. With combined over 50 years in the travel industry, we have been working for and with airlines, GDS’ and IT Vendors. We bring a breadth of knowledge, and have previously had roles in software development, project management, product management, airline system migrations, solution architecture, business process modelling, business consulting and business development. We understand the vendor perspective and the airline needs, and have played an important role in the past bridging the gap between the two. 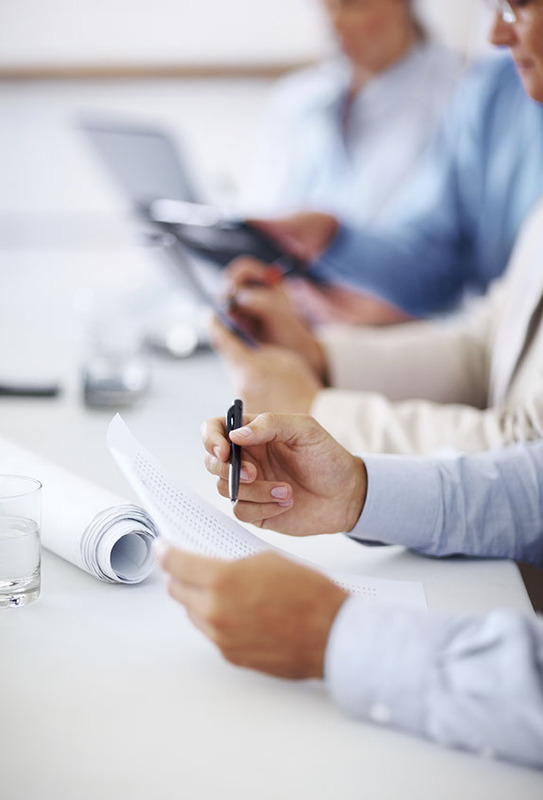 We strive to deliver business value to key stakeholders by aligning business and IT solutions. Dynamic airline offer creation – is the future here? 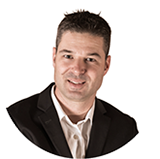 Daniel, a Swiss and Canadian national, is a solution and results driven travel industry consultant with extensive knowledge in the passenger airline and consumer driven domain. Nick, originally from the U.K., has lived in Switzerland for many years. His main focus is on solution consulting with a strong focus on PSS, revenue managment, travel retailing and related topics. Travel in Motion currently has more than a dozen clients in three continents. Our customers range from airlines of various sizes to PSS providers, travel ecommerce vendors, travel IT vendors, travel start-ups and payment providers. We are serving an airline IT company with under 20 staff members and a multinational corporation with more than a hundred thousand employees. We are privileged to count industry organisations such as IATA to our customer base as well. Our current work ranges from developing sales and business development strategies to solution design reviews, from one day workshops to longterm strategy engagements, driving airline IT strategies and airline NDC roadmaps to competitive benchmarks amongst industry players. We support airlines in defining NDC and merchandising strategies and market roll-out plans, and support them in the execution. We are at the forefront of the IATA ONE Order concepts, both from an industry perspective as well as looking at possible transitions with customer airlines. We support vendors in M&A discussions and contract negotiations. We conduct benchmarks of airline eCommerce vendors’ capabilities and market perception. We support leading global IT vendors in business development and business strategy in relation to travel and transportation market and helped with new product definition and market validation. We facilitate workshops for airlines, vendors and have done so for the leading airline industry governing body organisation, supporting organisations in defining programme scope and activities. We moderate panels and facilitate discussions as a neutral third party. Finally, in between all this work, we also author reports on NDC, ONE Order and future industry direction for various clients. We’d love to add your company’s profile and goals to this growing list. Our list of airline clients to date includes Aer Lingus*, Air France KLM, American Airlines, ANA, British Airways, Brussels Airlines, Edelweiss Air, EL Al Israel Airlines, International Airlines Group (IAG), La Compagnie, Pegasus Airlines, Saudia Airlines, SWISS International Air Lines*. Our list of non-airline clients to date includes Airlines Technology, Braathens IT, Bravo Passenger Services, Datatrans, Datalex, Heathrow Airport, Hewlett Packard Enterprise, IATA, IBS Software, NSM Engineering, Nyras, OpenJaw Technologies, Radixx, SPIRIT/21, Swissport, Travelaer, Travelport, Travelsky Technology Limited, T2RL, Worldticket. *denotes under predecessor company Daniel Friedli Travel Industry Consulting or as subcontract for partner company. 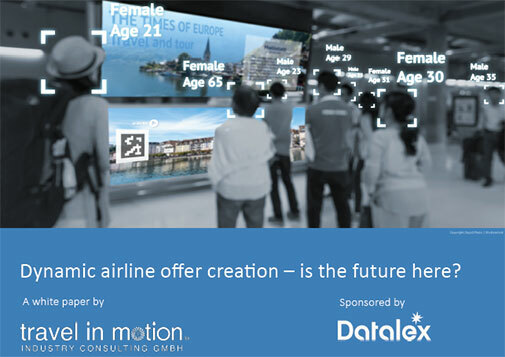 White Paper: Dynamic airline offer creation – is the future here? With the advent of the trend towards digital retailing in the airline industry, and the desire for airlines to become the sole source of the offer, there has also been a lot of discussion related to dynamic pricing. This paper aims to demystify some of the concepts and definitions of dynamic pricing and take it a step further – to dynamic offer creation. It is a good time to look into the crystal ball. Technologies such as artificial intelligence, cognitive intelligence and machine learning – all somewhat related – are on the rise. Concepts such as segmentation, personalisation and contextualisation in airline offer creation are taking shape, and in some cases are quite advanced. With the increasingly competitive market and uses of new tools and channels to make offers and sales, airlines need to rethink their understand of the competition and get a better view on the customer’s needs and desires. This white paper is targeted at an airline audience, particularly decision makers in the commercial and distribution departements, including the revenue management, pricing and ancillary disciplines of the airline. It gives a view beyond what is done today, to look at what will be possible tomorrow. It gives insight into the potential gains that artifical intelligence might bring, and uncovers the benefits of clever use of data and smart algorithms. The objective of this paper is to clear some fog over the the often-misused term “dynamic pricing”, and to trigger discussions amongst business collegues on the subject. Perhaps it will also spark some thoughts and ideas on your own airline’s future concepts related to getting the best offer to every single request, every time and all the time. This is an abstract. Please order the full white paper PDF for free. 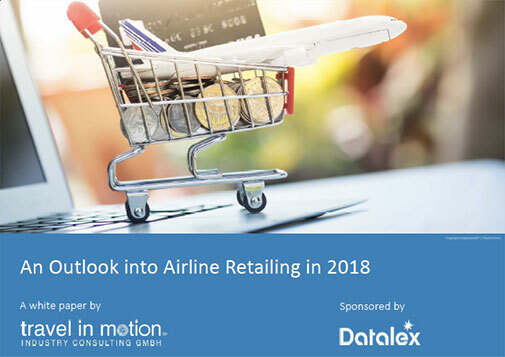 This past year has seen considerable activity in airline travel distribution in what has been an effort for many airlines to initiate a change to a more retail-focused behaviour. This is not a change forced by airlines, it is brought upon airlines by consumers, digitalisation and the retail market. We are all aware that most airlines cannot make the change alone. Many will be reliant on various industry entities engaging in this shift, and require time. This is nothing new, and the Diffusion of Innovation theory, originally set up in the 1960s, already separated the market into categories of innovators, early adopters, early majority, late majority and laggards in terms of the adoption curve of innovation. It also states that typically, 100% market saturation of an innovation is only reached some time after even the laggards have adopted the innovation, meaning that this is a lengthy process. However, this also suggests that early adopters will benefit more from these innovations. 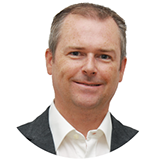 In airline retailing, many airlines and related travel companies are at the stage of knowledge collection or persuasion, with only a handful within a decision phase, let alone an implementation. In this Airline Retailing Outlook 2018, we at Travel in Motion (TiM) are not attempting to look into the distant future with a lot of unknowns, guesses and hopes. Rather, we are going to lay out what we see coming in the next twelve months. We are going to look at this from various aspects, and only touch each of these briefly with a number of remarks and predictions – and attempt to forecast things that may not happen as expected or hoped. This is an opinion piece based on discussions we have had, research we have done and various engagements we are involved in, as well as from following news, trends and conference content. Further, we have split this outlook into five sections. The first four are a high-level representation of the travel trade, starting from the consumer, the trade partners, distributors and finally the airlines. As a fifth element, we have added a short section on the technology. Technology may not drive the business, but it certainly is a critical enabling element. The airline supplier and its TMC partners are in the midst of a seismic shift to a platform business model. This new platform model requires that just like Amazon or Airbnb, they can deliver products and services with exceptional precision while optimising operations in an increasingly multi-sided and complex digital marketplace. This quest for a successful platform business model requires us to leave behind the rigid legacy supply chain dynamics of yesterday and instead foster exchange and co-creation of value whilst competing for revenue and profit source. Standing by is a liability we can no longer afford and protests such as ‘it’s too costly to be competitive’ or ‘this is too much disruption’ will only open the door to those willing to challenge the establishment and reinvent industries. For the airline, corporate travel represents a significant revenue and profit source. Yet this is a market segment with which they have limited contact, limited opportunities to listen to and understand needs, and even fewer opportunities to sell the ancillary products and services in which the airline makes huge investments in the form of premium cabin services, lounges and other premium products. This is all the more important as airlines move to a world of dynamic pricing and offer management. While early in the adoption cycle, NDC standards and the digital commerce systems needed to support them can transform how airlines and travel buyers exchange value across the digital ecosystem in service of the corporate customer. At Datalex, we are committed to the enablement of the IATA NDC and ONE Order standards as a core capability of our Digital Commerce Platform. 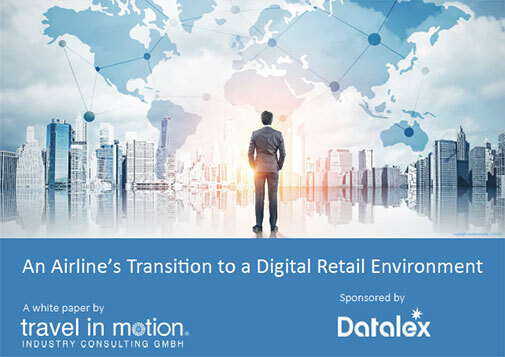 Datalex is a member of the IATA NDC and ONE Order working groups and partner to the most progressive airline retailers building successful platform business models and breaking legacy supply chain barriers with their partners. 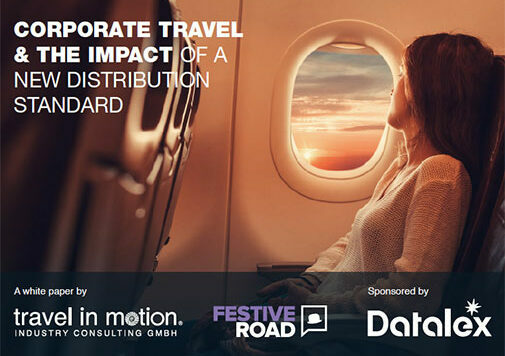 We are delighted to sponsor this important paper by Travel in Motion and Festive Road, which explores the challenges and opportunities from both the airline and corporate perspective. It bears witness to the start of an important dialogue and a path forward that will foster exchange and co-creation of value for all. 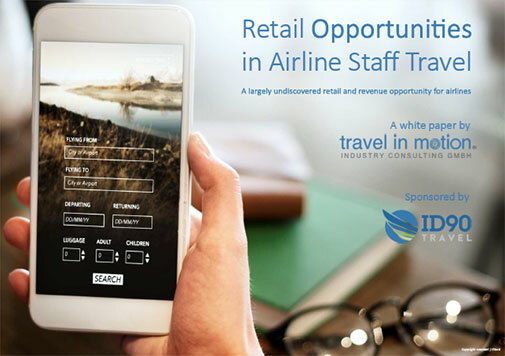 This is the first in a series of white papers related to the airline’s transition to a digital airline and the need for a digital retail environment to support it. This paper outlines what a digital retail environment is, and what is driving the airline industry towards becoming more digital, and airlines becoming retailers. Several key benefits of a digital retail environment are outlined, as are a number of the challenges of a transition. Three main steps in evaluating and preparing for a transformation to a digital retail environment are discussed, leading to the final questioon – ‘Will the digital retail environment replace the PSS?’. This white paper is targeted at an airline audience, namely decision makers in the commercial and strategy business departments. It serves as a discussion starter, not a full solution recipe to the digital transformation. The objective of this paper is to ignite conversations related to digital and retail transformation in the lunch break, over a coffee, the a,ernoon tea or a few drinks in the evening. Airlines have spent the past years focused on becoming travel retailers. They not only invest considerable time and money to come up with new ancillaries and services to sell to their customers, they have been focusing on cross- and upselling hotels, cars, tours, insurance and many other products. Any opportunity to add revenue to the bottom line is being looked at closely, especially with the changes in the distribution landscape of recent. This will be accentuated even more as we see the oil prices increase again. An opportunity which has been missed by most is staff travel. “STAFF TRAVEL! ?” you ask? Yes. Instead of this being a cost centre for the airline, it can also be a source of revenue. In other words, since staff travel, a much-liked employee benefit, costs the company money in several ways, then is it not worth considering how these costs can be offset? Especially if at the same time, staff travel can be enhanced, and costs reduced. 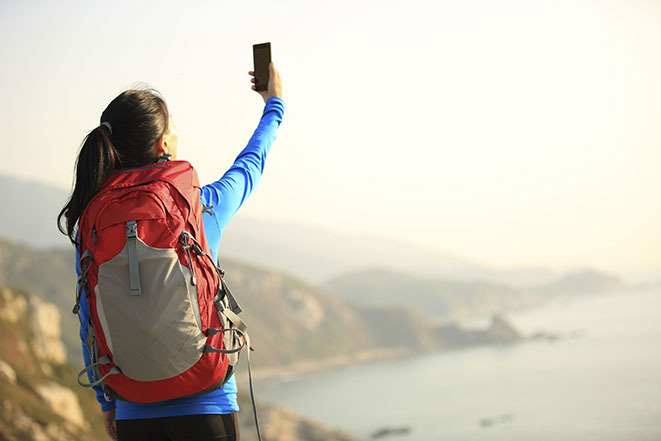 Staff Travel could be seen as a part of the platform economy – share the benefits. So a further question should be “Is it worth investing in a platform?” and “Is there really a platform economy for Staff Travel?”. In this white paper, Travel in Motion outlines opportunities for airlines to enhance staff travel in terms of cost savings, revenue generation and customer/employee experience.